Kitchen cabinets are a key part of any kitchen. Typically one of the most expensive elements to buy, and a huge part of your kitchen styling, the kitchen cabinet provides so much more than just storage. When choosing the right kitchen cabinets for your designer kitchen, you needn’t feel restricted by traditional designs. There are so many fantastic options out there, so why not be inspired by some of our favourites? Shaker-style cabinets are great for that sleek, contemporary style. Opt for recessed panels inside flat-frames for a look that’s both traditional and contemporary and team with stainless steel appliances. To create this look, antique-style furniture is key. Opt for cabinets that are heavily distressed and choose colours of mossy-greens, duck egg blues and woody browns. Ledge accents on the cabinets will also give them a vintage farmhouse feel. For something simple and classic, opt for white, or off white Shaker-style doors. 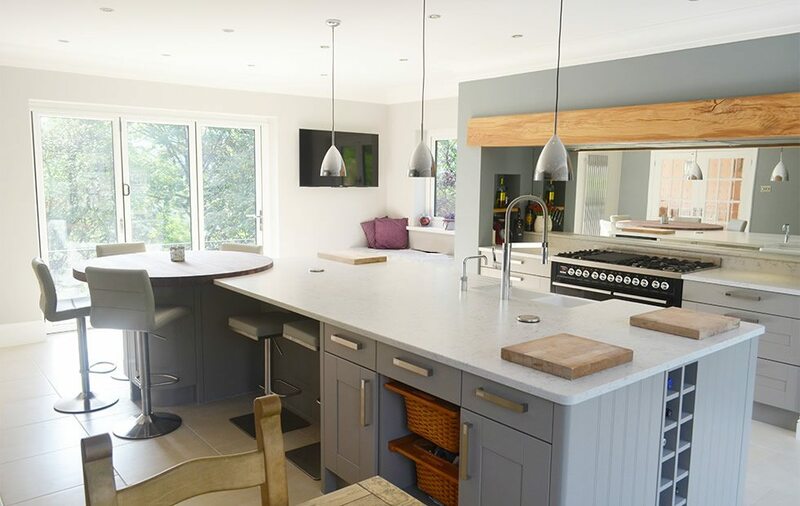 The great thing about white is that it can suit so many styles – from modern kitchens right through to a more traditional or country cottage style kitchen. Add some vintage charm to your home with vintage style cabinets with glass panel cabinet doors. Opt for neutral colours and beaded edges and mix with pretty glass nobs to add that final touch of vintage. When choosing your kitchen cabinet, it’s not just the exterior you should be thinking about. You should also consider the functionality of the cabinet and ways in which you can add a creative, yet practical touch. Don’t just limit your storage options to a few shelves. Consider pull out trays, bread boxes and make the most of narrow spaces you’d usually give amiss. Rather than just opening a cupboard door to find shelving, why not consider pullout doors attached to shelves for pots and pans, holders for recycling, and racks for canned and dry goods. You could also make use of drawer inserts to maximise the organisational function of your cabinet and help you to maintain a clutter-free kitchen. Who says your cabinets can’t be a focal point of your kitchen? With a space dedicated to floor-to-ceiling cabinetry, you can reduce storage from other areas and have a fabulous looking cabinet that houses everything from everyday dishes to small kitchen appliances and table linens. A popular trend is the cohesive look, achieved by hiding appliances behind cabinet doors. An example of this is the fridge, or dishwasher, now commonly hidden behind cabinetry to match the whole look of the kitchen for a sleek and contemporary finish. To discover a whole range of kitchen cabinet designs, why not visit one of our North West designer kitchen showrooms? 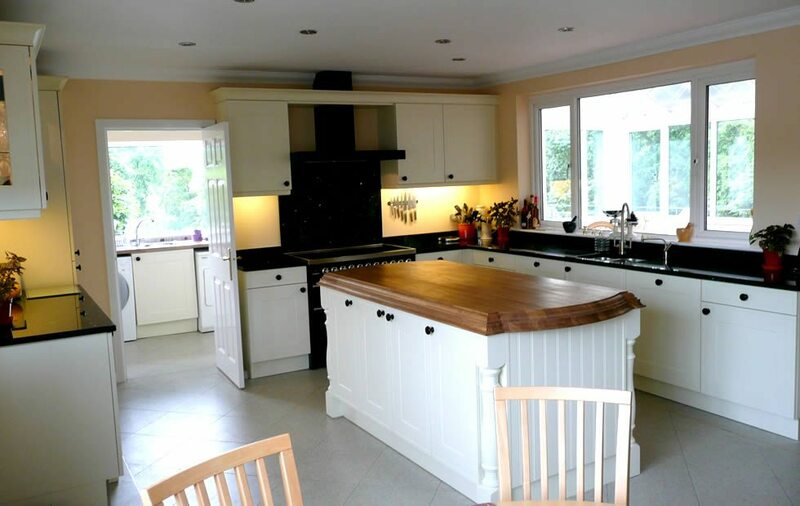 We have plenty of style ideas and designer kitchen experts on hands to discuss your every kitchen need.